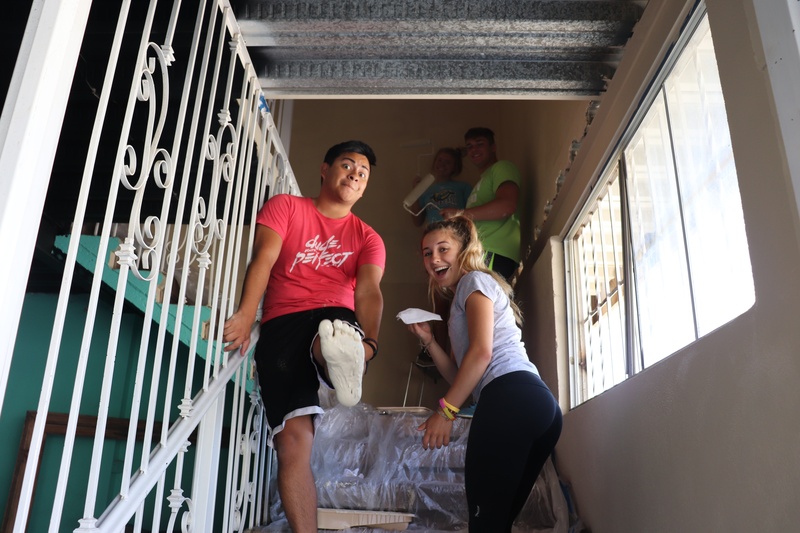 Earlier this summer, a group of 10 students, 4 parents and staff spent a week in El Nino, MX - about 15 miles east of Tijuana - serving the Comunidad Cristiano El Nino (CCEN) church. This is LuHi’s third year partnering with Christ for the City mission organization to serve the community. CCEN, led by Pastor Daniel Nunez, works with a ministry called Kingdom Builders which is part of a larger ministry, Ministerios Transformacion (TM). “Once we arrived in El Nino, it was very easy to see why Coach Kohlwey has been back so many times. The people who were working with us and taking care of us were beautiful people. They were so genuine about their love for Christ. I was so humbled how the people of El Nino don’t have anything, yet they are so happy and love God so much for all He has done for them. I was amazed by their faith. They knew God would provide what they needed in one way or another,” explains LuHi mom, Casey Fisher. Morning and evening devotional meetings every day, which were wonderful, and served also to help us communicate feelings, activities and more. A visit to an orphanage sponsored by CCEN and TM. Eating the most delicious and lovingly prepared local meals from the women of CCEN. Visiting the personal home of Pastor Tury and his wife, Nelely, and boys Max and Leo. Quick walking trips to the local supermarket for some supplies but also to just see how life is in typical El Nino, Mexico. Mrs Fischer also shared a recap, “We went to a men’s home for men who have been injured or have disabilities. These men brought me to tears. They are living in the worst of circumstances. The way they sang for us and praised God, brought me to tears. They gave the kids great advice and showed them what it really means to have faith and live by faith. 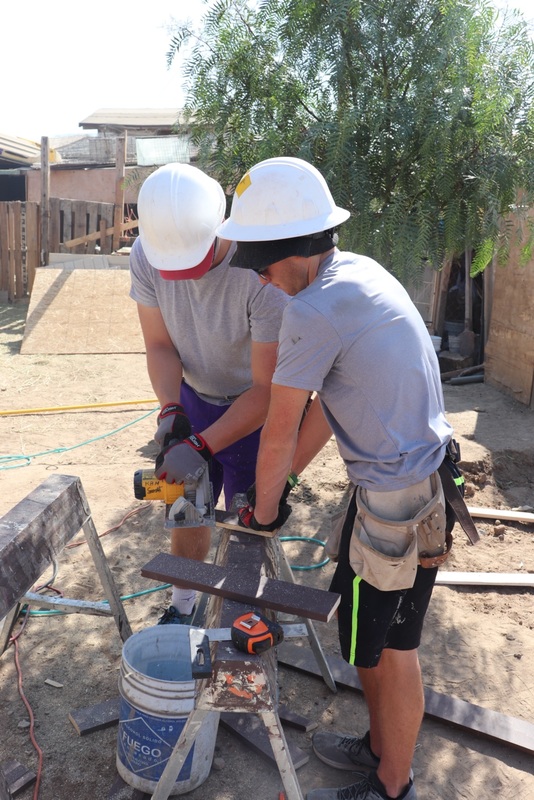 We were able to help another mission team from California build a house for a single mother of two. It was such an amazing moment to see this woman get the key to her house where her children would be safe. Her story was heartbreaking how she ended up living in El Nino. It was such an amazing feeling to be a small part in making someone’s life better. Coach said he hoped we would see God in people during this trip; that God would be real to us. I had that experience on Sunday at the church service we attended. We attended a service at a church where they were celebrating their twelfth anniversary. Besides serving the community, the group also went to Tecate for tacos and spent some time at a beach in Rosarita, MX. The theme from this year's trip was humility. “I came away from this trip very humbled, thankful for everything God has ever done for me, and most importantly a fire to live my very best me through God. I can’t wait to go back next year and see these beautiful souls again,” expounds Mrs Fischer. 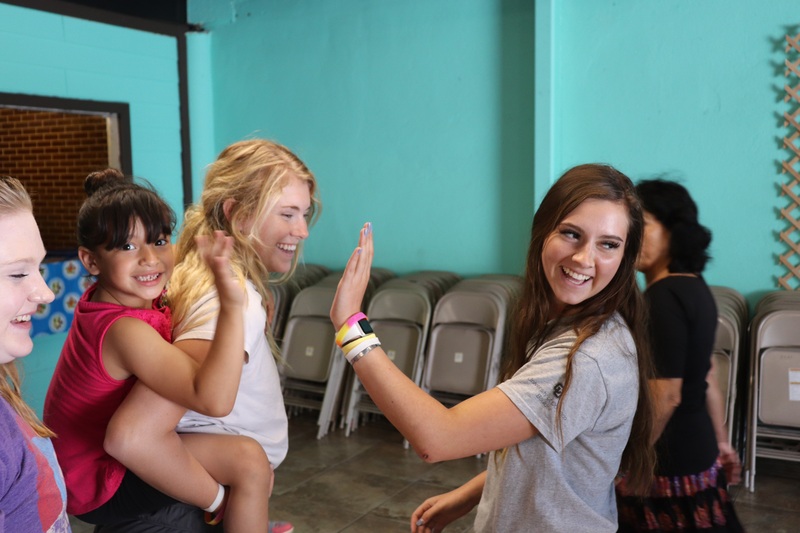 The LuHi community is so thankful the work of this year's Mexico Mission Trip team did in Jesus' name! Next year, the team plans to build a house for $7,000 in 3 days. Mr Kohlwey is also planning to add a trip to Alaska through Alaska Mission for Christ.